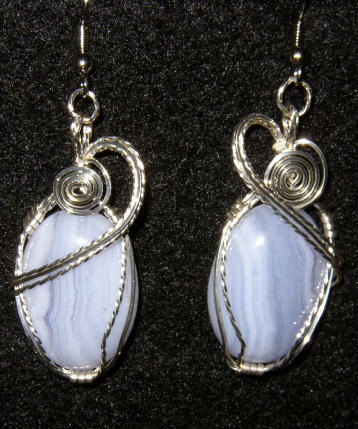 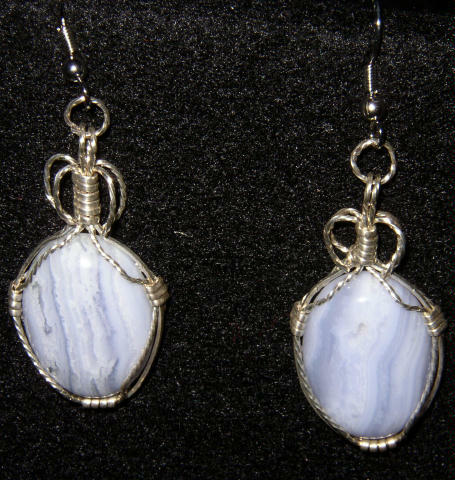 This ear ring set is made from two 18 X 25 mm Blue Lace Agate cabochons and wire wrapped/sculpted with Sterling Silver wire. 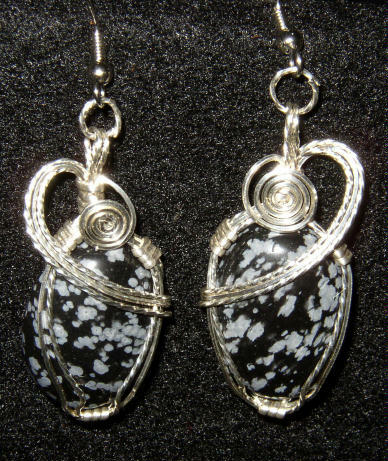 This ear ring set is made from two 18 X 25 mm Snowflake Obsidian cabochons and wire wrapped/sculpted with Sterling Silver wire. 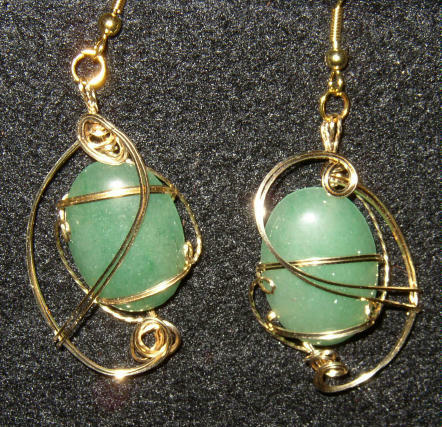 This ear ring set is made from two 18 X 25 mm Green Aventurine cabochons and wire wrapped/sculpted with 14 K/20 % Gold Fill wire. 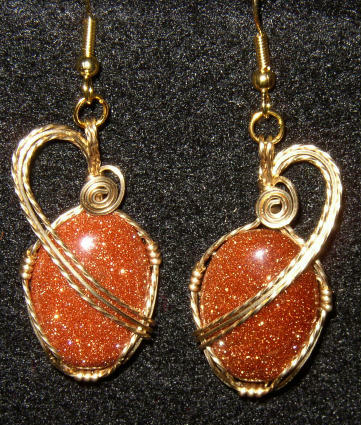 This ear ring set is made from two 18 X 25 mm Goldstone cabochons and wire wrapped/sculpted with 14 K/20 % Gold Fill wire. 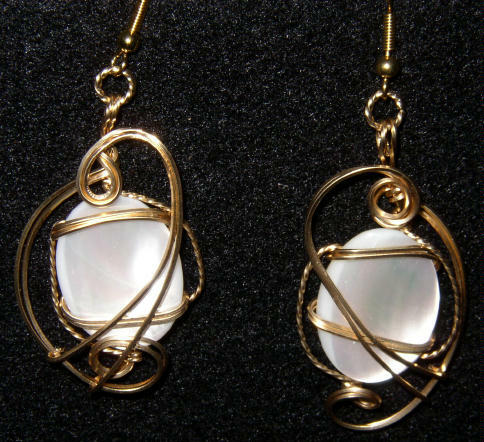 This ear ring set is made from two 18 X 25 mm Mother of Pearl cabochons and wire wrapped/sculpted with 14 K/20 % Gold Fill wire. 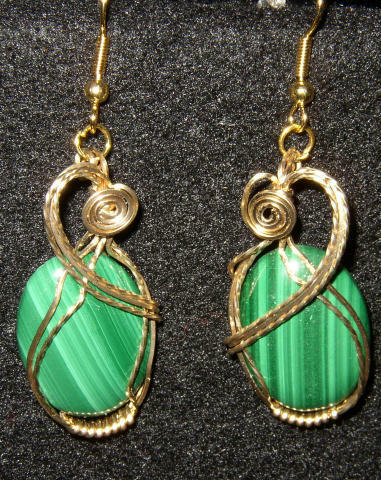 This ear ring set is made from two 18 X 25 mm Malachite cabochons and wire wrapped/sculpted with 14 K/20 % Gold Fill wire. 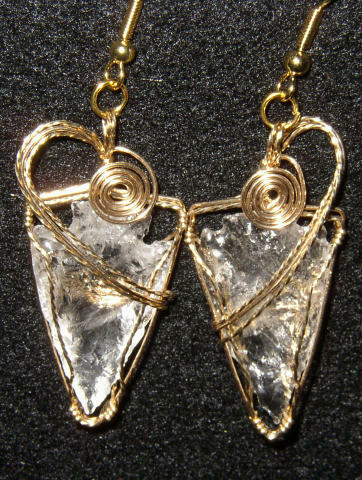 This ear ring set is made from two 18 X 25 mm knapped Quartz Arrowheads and wire wrapped/sculpted with 14 K/20 % Gold Fill wire. 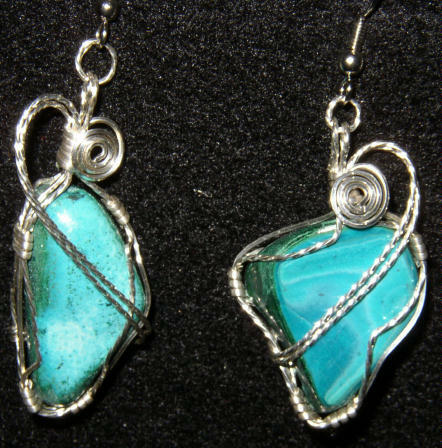 This ear ring set is made from two tumbled polished Azurite/Chrysocolla stones from Argentina and wire wrapped/sculpted with Sterling Silver wire. 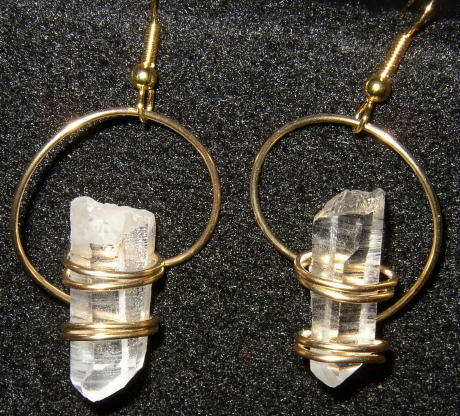 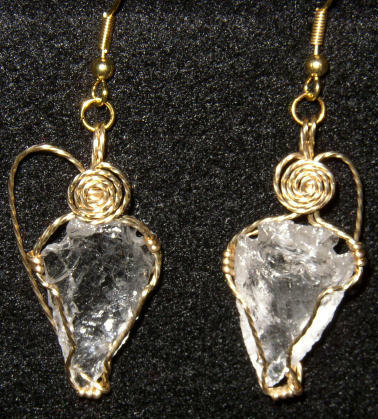 This ear ring set is made from two Arkansas Quartz Crystals and wire wrapped in 14 K/20 % gold fill wire. 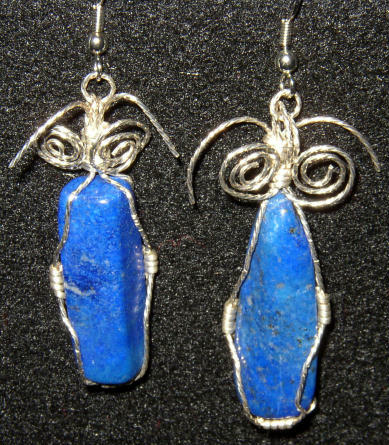 This ear ring set is made from two tumbled polished Lapis Lazuli stones from Afghanistan and wire wrapped/sculpted with Sterling Silver wire.